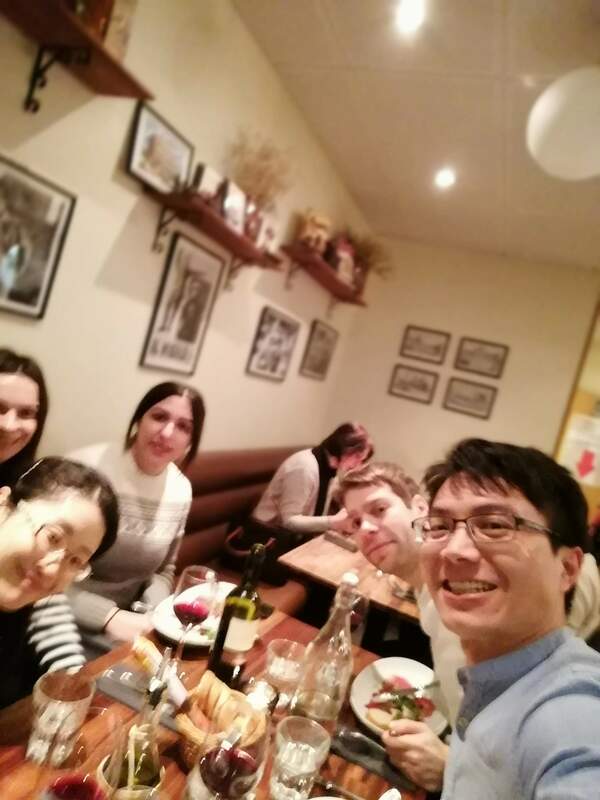 Cooking and visiting student nations is fun but when you want to celebrate something sepcial or just want to enjoy really good food you have to go to restaurant. Unfortunately, there is no place in Lund which is very good and cheap so you have to spend at least 120 SEK for a better meal. And don’t forget that only one beer will be around 60 SEK on the top. Anyway, the good thing is that you usually get a high extra portion of quality for the extra cost. I have been to an Italian pasta restaurant with my friends last weekend. To be fair, it was not our first choice because it turned out that on Saturdays almost all restaurants are booked out. So we hopped from one place to another until we finally could settle down there. Everyone was happy about the authentic Italian food (which is not always the case in the cheaper pizza stores) and good wine. So I can really recommend to skip the usual Fast Food places a couple of times and instead spend the money for one real food! Another thing internationals should note is that restaurants in Lund close or stop accepting walk-ins or reservations relatively early. It’s nigh on impossible to eat out properly after 8:45/9:00pm in Lund usually. Some places close even earlier, for example the good dumpling place generally closes at around 7:30. The same goes for trying to have lunch outside of a set couple of hours. For me it’s something I cannot get used to and think is incredibly backwards, and has been even worse for friends from cultures where they usually eat late in the evening.